Have you been thinking of starting a juice fast diet? Or are you already on a full body detox? Either way, you’re off to the right start. Getting information to help yourself juice cleanse your body will do a world of good for your health. A fasting diet has been a recommended mode of healing for thousands of years. At times, its still seems extremely misunderstood by many. A juice detox is not a starving or depriving oneself. It actually can quickly help your body’s abilty to heal, repair and rejuvenate. Knowing how to cleanse properly is key, and it’s not hard. The most important things to remember is you must prepare for your fast by eating a clean and light diet and also reintroduce food gently once the fast is over. Fasting spares your body from the energy it takes to eat, digest food and expending the waste. It’s a big job for your body. By giving your body a break from this, it automatically focuses that extra energy on cleansing. You’re body is just that smart. It makes sense, right? Right! If you let your body heal, it will. Because of our environment, and how polluted our world and food have become, never has it been more important to do full body detox. Pollution and lack of nutrition bring on health issues or worsens them. Cleansing the body through a juice diet is smart to do at least once a year. At the very least, you could try a 3 day fasting diet or a 7 day detox. For the braver souls, 30 day and 60 day juice cleanses are also popular. Juice Fasting Diet Overview Here’s a quick overview of why, how and what to get you started if you’re a newbie. How To Do A Juice Cleanse Here's some simple guidelines on how to start your own juice diet by easing in, easing out and what to do during the cleanse. 1 to 3 Day Fasting Guide If you’re thinking of doing a short 3 day juice detox for a burst of energy and to quickly clean, here’s your guide. 3 Day Fast Menu Plan Here's a menu plan for a 3 day cleanse which includes juice recipes. Green Juice Diet If you want to go on a green fast just like Joe Cross did in the juice fast movie “Fat, Sick and Nearly Dead” then this will help you. Juice Fasting Recipes Here is a list of good and easy recipes for juicer cleasing. Common Questions about Detoxing FAQ's about cleansing. If you've got some questions, maybe you'll find your answers here. 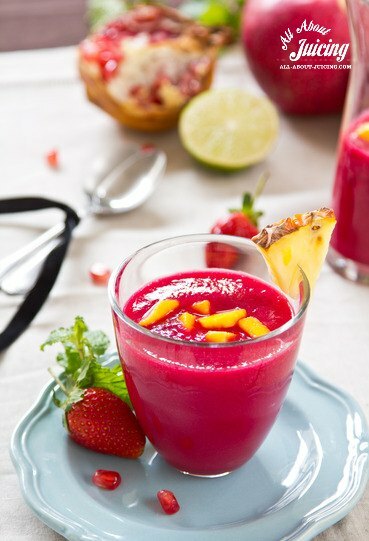 Juice Fasting Retreats These are great places to go that will make fasting easy. Not to mention, they are usually in beautiful places and can make a great vacation. Detox Symptoms and Side Effects of a Detox Diet Here is what to expect when juice cleansing. Review of Fat, Sick & Nearly Dead Movie Great movie, see it for inspiration! While I think this type of cleanse is more challenging then the a straight –up juice one, some people LOVE it and have walked away with miraculous results. So, just check it out, maybe it’s for you.